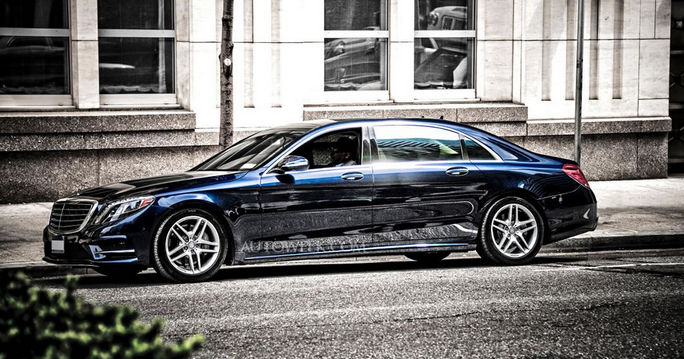 Mercedes is bringing back the Maybach but it will be in the form of a long-wheelbase edition of the S-Class. 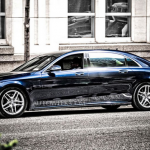 The car will make its debut at the 2015 Los Angeles Motor Show and based on the informations released it will be dubbed the 2015 Mercedes-Maybach S600. The rear section and the C-pillar have been completely reworked and thanks to the extra length, the Mercedes-Maybach S600 will feature reclining rear seats as well as a refined entertainment system. Rest of the details is yet to come out but the Mercedes-Maybach is expected to be powered by the twin-turbo V-12 producing 523 hp and 612 pounds-feet of torque found in the current Mercedes-Benz S600. 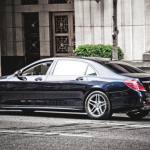 There is also a possibility of the luxury limo to be offered with a version of the twin-turbo V-12 currently found in the S65 AMG that produces 621 hp and 738 pounds-feet of torque, though it is not clear at this time whether all versions of the upcoming sedan will receive 4Matic all-wheel drive. The entry-level model is expected to cost approximately $200,000 and it could eventually be joined by an armored version that offers VR9-level ballistic protection. You can check out some pic of the vehicle here.